The British Library is the national library of the United Kingdom and the second largest library in the world by number of items catalogued. Formally, officially classified and certified in the U.K. as a Grade I listed building "of exceptional interest" because of its special architectural and historic interest, the library is a major research library, holding well over 150 million items from many countries, and receives a copy of every publication produced in the UK and Ireland . Items are in many languages and in many formats, both print and digital: books, manuscripts, journals, newspapers, magazines, sound and music recordings, videos, play-scripts, patents, databases, maps, stamps, prints, drawings. The Library's collections include around 14 million books, along with substantial holdings of manuscripts and historical items dating back as far as 2000 BC. The library is a non-departmental public body sponsored by the Department for Culture, Media and Sport. 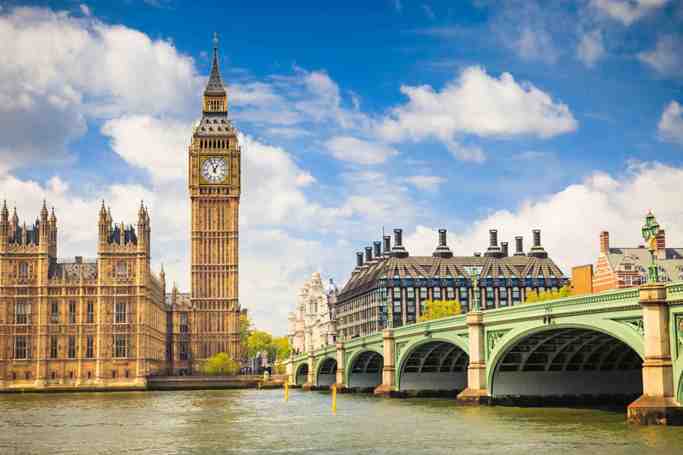 It is located on the north side of Euston Road in St Pancras, London (between Euston railway station and St Pancras railway station) and has a document storage centre and reading room near Boston Spa, 2.5 miles (4.0 km) east of Wetherby in West Yorkshire. 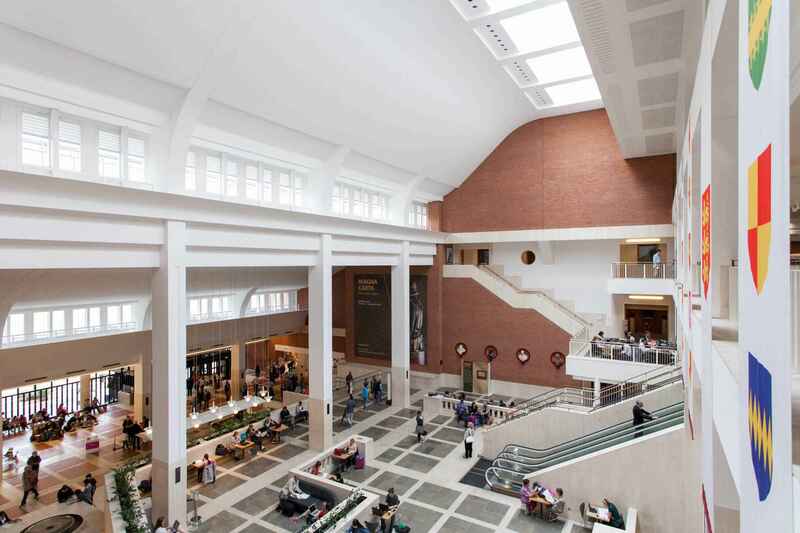 In 1973, the British Library Act 1972 detached the library department from the British Museum, but it continued to host the now separated British Library in the same Reading Room and building as the museum until the library moved to a purpose-built building at St Pancras, London. The Library is open to everyone who has a genuine need to use its collections. Anyone with a permanent address who wishes to carry out research can apply for a Reader Pass; they are required to provide proof of signature and address. Historically, only those wishing to use specialised material unavailable in other public or academic libraries would be given a Reader Pass. The Library has been criticised for admitting numbers of undergraduate students, who have access to their own university libraries, to the reading rooms. The Library replied that it has always admitted undergraduates as long as they have a legitimate personal, work-related or academic research purpose. The majority of catalogue entries can be found on Explore the British Library, the Library's main catalogue, which is based on Primo. Other collections have their own catalogues, such as western manuscripts. The large reading rooms offer hundreds of seats which are often filled with researchers, especially during the Easter and summer holidays. British Library Reader Pass holders are also able to view the Document Supply Collection in the Reading Room at the Library's site in Boston Spa in Yorkshire as well as the hard copy newspaper collection from 29 September 2014. Now that access is available to legal deposit collection material, it is necessary for visitors to register as a Reader to use the Boston Spa Reading Room. The British Library makes a number of images of items within its collections available online. Its Online Gallery gives access to 30,000 images from various medieval books, together with a handful of exhibition-style items in a proprietary format, such as the Lindisfarne Gospels. This includes the facility to "turn the virtual pages" of a few documents, such as Leonardo da Vinci's notebooks. Catalogue entries for a large number of the illuminated manuscript collections are available online, with selected images of pages or miniatures from a growing number of them, and there is a database of significant bookbindings. British Library Sounds provides free online access to over 60,000 sound recordings. Explore the British Library is the latest iteration of the online catalogue. It contains nearly 57 million records and may be used to search, view and order items from the collections or search the contents of the Library's website. The Library's electronic collections include over 40,000 ejournals, 800 databases and other electronic resources. A number of these are available for remote access to registered St Pancras Reader Pass holders. A number of books and manuscripts are on display to the general public in the Sir John Ritblat Gallery which is open seven days a week at no charge. Some of the manuscripts in the exhibition include Beowulf, the Lindisfarne Gospels and St Cuthbert Gospel, a Gutenberg Bible, Geoffrey Chaucer's Canterbury Tales, Thomas Malory's Le Morte d'Arthur (King Arthur), Captain Cook's journal, Jane Austen's History of England, Charlotte Brontë's Jane Eyre, Lewis Carroll's Alice's Adventures Under Ground, Rudyard Kipling's Just So Stories, Charles Dickens's Nicholas Nickleby, Virginia Woolf's Mrs Dalloway and a room devoted solely to Magna Carta, as well as several Qur'ans and Asian items. 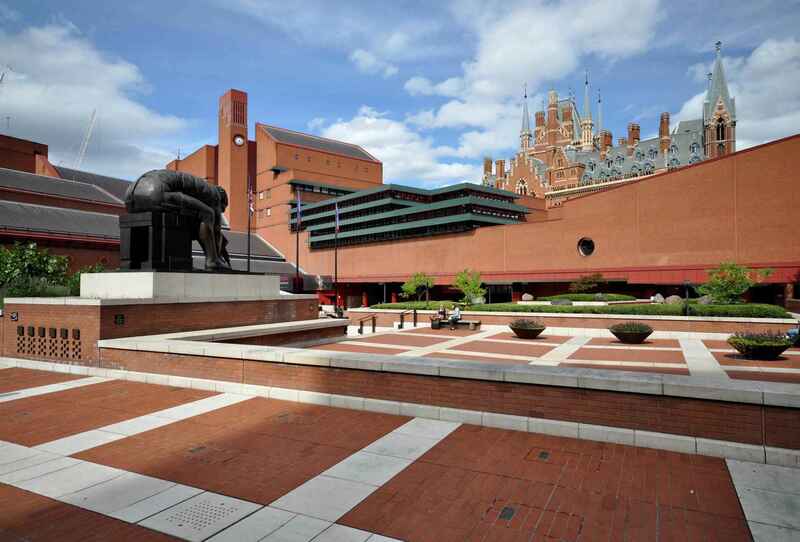 British Library | eTips Inc.